Home > Publications > Beyond our Means? 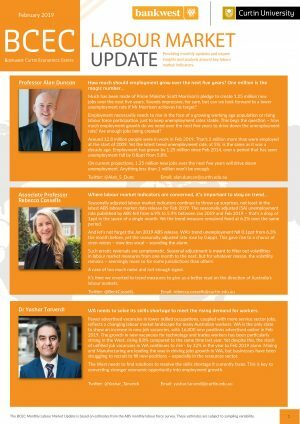 The ability of both households and governments to increase savings and manage debt has been an ongoing policy issue in Australia and throughout the world. Debt can be a good thing if it encourages real asset growth beyond that of interest repayments, as long as it does not interfere with other important economic activity. 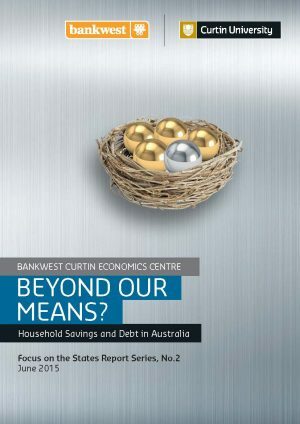 Beyond our Means is the second report in the Bankwest Curtin Economics Centre’s Focus on the States series. 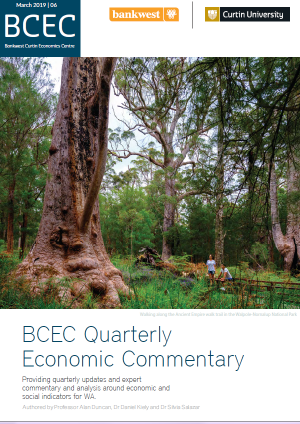 It brings new evidence to a national policy issue that impacts upon individuals, households and Australian States and Territories. Patterns of household savings and debt are explored over time and the issue of government debt examined. Australian government debt is low when compared to other OECD countries – ranked 21 out of 25. However, the trajectory of government net debt in the post-GFC period has been exponential, particularly in relation to government revenue, increasing from 15.2% to 54.4% in just over five years. This can become a burden to the Australian economy, increasing the risk of creditor downgrading and limiting the ability of governments to govern. Instead of servicing the Australian people, governments can end up spending more resources servicing debt. Australia’s state and territories have also seen a marked increase in government debt over recent years – particularly South Australia, Victoria and Queensland. All three states are now recording debt to revenue ratios in excess of 50%. Western Australia has also followed suit, with debt to revenue increasing above 50% in 2013, a period which also saw the state lose its AAA credit rating, and with the most recent forward estimates foreshadowing no return to such levels for the remainder of the decade. On the other hand, Australian households have decreased their propensity to take on debt and have increased their savings in the post-GFC period, however, household debt still remains three times higher now than what it was twenty years ago. Australians are now more comfortable with debt and currently hold debts equal to 1.5 years of income whereas in the past they had only debt equivalent to half annual income. Who are Australia’s best savers? Unsurprisingly it is the richest 20% of households holding most of the savings wealth – more than three-quarters of all household savings. These households have an estimated wealth of around $1.3 million in savings – 200 times the bottom 20%. This division in savings in the form of financial assets between high and low income households is stark. 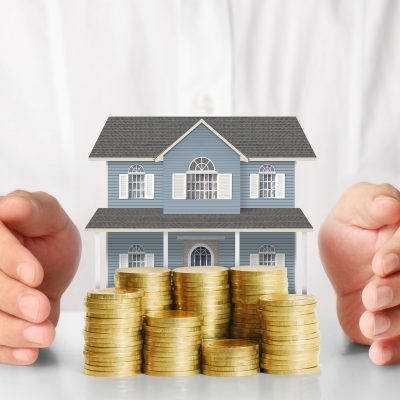 These households also own around 68% of superannuation and 62% of cash deposits and more than 95% of the value of trusts. 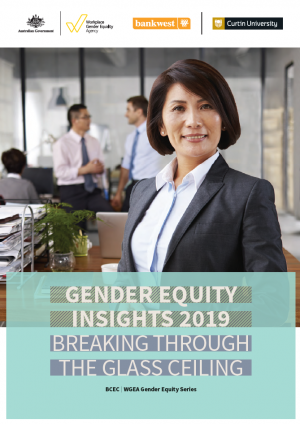 Australians are also more likely to use the equity in the family home to increase spending now, with borrowing against the equity in the family home becoming more popular and the knowledge of a future super lump sum potentially influencing current household behaviour. While this use of debt allows a household to enjoy a higher standard of living now, it may jeopardise the standard of living it can achieve in the future.